The need of the hour is to grow out of the limits of the political demarcations, boundaries and mature into responsible individuals. This is possible only when we widen the horizon of our thinking and come up with some out-of-the box ideas. 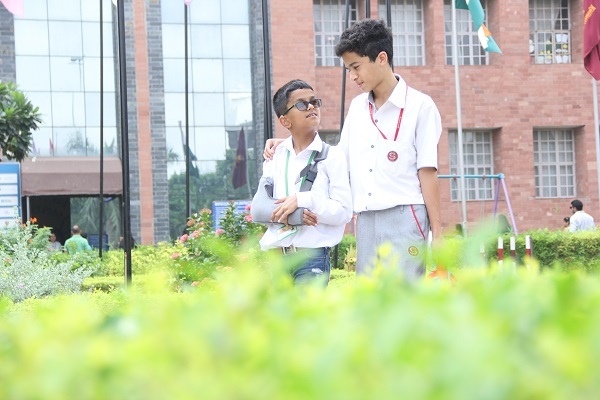 At Scottish High International School, this idea has been mooted and children’s freedom and space is respected to enable them to blossom into well-groomed individuals who can observe and assimilate knowledge through a process of self-discovery. The endeavour is to keep this flame of inquisitiveness burning in the child so that the light of knowledge burns bright and shines on. Scottish High sincerely believes that its approach and outlook offers a new dimension to learning. We understand that every child is Unique. We do not ask “why” but “why not”? We have a set of young, visionary minds at the helm. We encourage creativity and arts as much as science and commerce. The underprivileged, marginalized and differently abled students are a part of the mainstream. We believe that the delicate balance of nature is in young hands and we educate them accordingly. We believe that by embracing students from other nationalities we only reinforce our nation’s “Unity in Diversity”.